The Bollywood superstar Sanjay Dutt's biopic Sanju is all set to release in this week, 29th June 2018. There are many discussions about this film biopic Sanju as it will narrate the whole story of Sanjay Dutt's life in front of the audience. The film is directed by Rajkumar Hirani and produced by Vidhu Vinod Chopra. 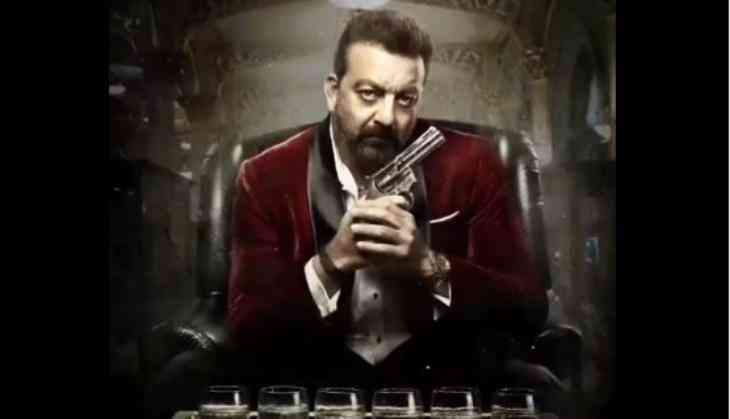 One hand Sanjay Dutt is in in the discussions for his biopic starring Ranbir Kapoor while on the other hand, Sanjay Dutt is also in the discussions for his next film Saheb Biwi Aur Gangster 3. Today the makers of the film have released the first motion poster of the film. The star Sanjay Dutt himself shared the first motion poster of the film on social media and this motion poster only features Sanjay Dutt. Sanju has given a terrific caption to this motion poster on Twitter, he wrote, "Jee Haan Main Hun Khalnayak... Ab Ban Gaya Hun Gangster! " The film Saheb Biwi Aur Gangster 3 is the third sequel of Tigmashu Dhulia directorial franchise that has the lead pair of Jimmy Shergill and Mahie Gill. This time Sanjay Dutt and Chitrangada Singh have joined this franchise film. The film is going to hit the screens on 27th July 2018.